Still not sure about something? Check through some frequently asked questions and maybe send us an email. Licences of guides and captains? You can certainly bring your camera. We can provide you with a plastic bag to protect it from getting wet. Can I store my belongings? We can keep your personal belongings at our office space however we do not take responsibility for them. Do I need to sign a waver? You have to declare that you are physically fit prior to engaging in a Ribsafari trip and you sign a waver that you declare that you have not been drinking or doing drugs and that you will follow the instructions of the captain and guide. We do not sail with passengers who have back problems or are pregnant as the boat is riding on waves and it can be bouncy. You can wear your glasses during the trip however we will give you protective glasses to wear over them so that they will not fly off during the trip. Alcohol and drugs and Ribsafari trips do not go hand in hand. Ribsafari can refuse to take people on trips that are under the influence of alcohol or drugs. I have a back problems can I take the trip? Ribsafari ensures the safety and security of its passengers and we go through safety rules prior to every trip. 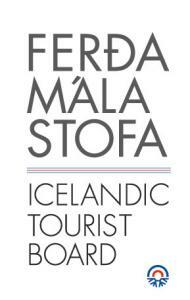 All our guides and captains have undergone training and have a certification regarding maritame safety and emergency management from the ICE-SAR Icelandic association for search and rescue. Both of our boats have the following safety equipment: Rubber lifeboats, top of the art sailing equipment, fire extinguishers, emergency torches, distress flares, emergency radio and emergency locator transmitters. We provide you with a warm float suit. However we recommend you to bring a hat and gloves. It is also best to wear sneakers or hiking shoes on the trip – we don’t recommend high heels or sandals. Minimum age of our passengers for scheduled tours is 6 years of age. If the child is younger you need to book a private group tour or luxury tour. On our Ribsafari trips we provide every passenger with protective clothing; float suit and life jacket. We have equipment for toddlers but children need to be at least six years old to go on a scheduled tour. If you are travelling with younger children you can always book the boat for a private group tour or luxury tour. The trips can be dependent on weather and if it is really windy we do not sail, and you wouldn’t want to sail either – but we will of course repay your trip or find another time in collaboration with you. We usually cruise at 20-25 mph but normally end the trips a little bit faster. Each boat takes 12 passengers and we operate two boats. We are situated just on the harbor in Vestmannaeyjar, 1-2 minutes walk away from where Herjólfur ferry lands. You can see on the website a Google Map that marks the spot. It is best to book in advance via our website to secure your spot. You can contact us also via mail: info@ribsafari.is or tel. +354 661 1810. We only sail if we have put together a group of five adults or more so we might need to cancel our trip or move you to a another trip. Please call +354 661-1810 or email us info@ribsafari.is.